March is always a busy month of birthdays... there's a few wonderful friends, four family members, plus my dear husband, and ME (today)! I don't see it as a day to celebrate me, but rather a day to spend with family & friends and have a good time together! and it gives me a reason to eat more dessert than I should! LOL! Anyways, it was a blast to celebrate Kris' birthday blog hop. Hope you all had a chance to see all the beautiful cards made! So today, I will have a little surprise for one random commenter on this post. Tell me what's your favorite way to celebrate your birthday! The lucky winner will be picked on Sunday March 18th! How pretty! and again, Happy Birthday! That card is sooo cute! 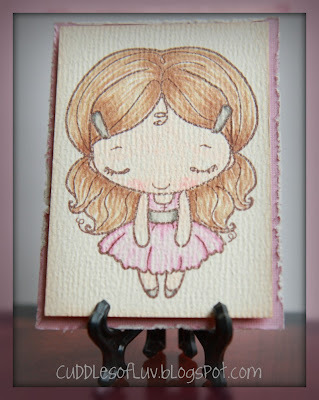 I love how you stamped on the different textured paper and colored her up. The distressing on the pink card is really cool. Love it!! A Happy, Happy Birthday to you Mimi! May you have a very blessed and fun filled weekend with your family and friends! Wow, you sure have a lot of birthdays to celebrate. A big birthday wish and hug to you. Hope you have a super-duper one. Hmmm, I would love to celebrate my birthday going out to dinner and having time to craft, craft, and craft. Enjoy your day!!! Mimi, Mimi, Mimi!! Happy Birthday to you, to you!!! Love the cute image of Fancy Anya! I celebrate my birthday.. may be dinner out, travel to some place out of my country and celebrate with friends doing scrapbook is the best way! Happy Belated Birthday Mimi! Hope you enjoyed yourself, surrounded by family and friends! 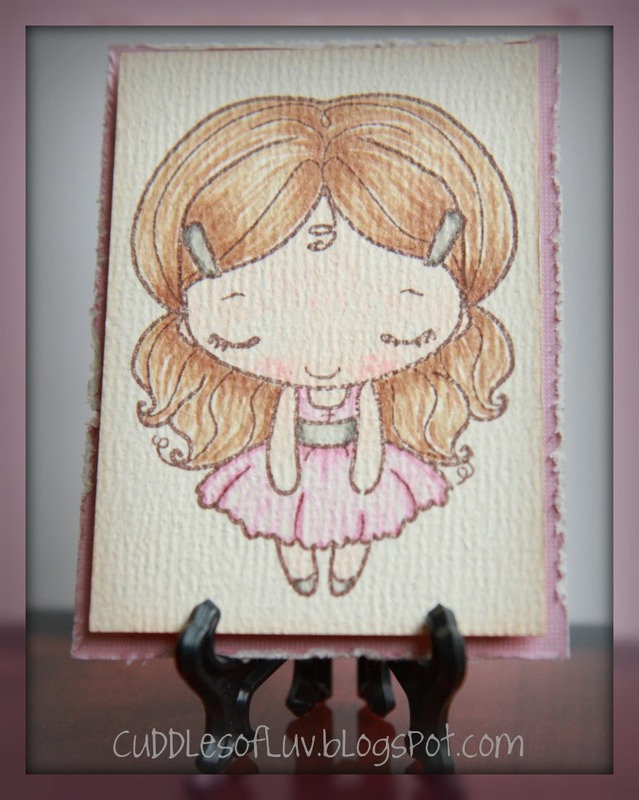 Love your card girly - especially the distressed edges! xoxo! Your coloring on the texture paper is so cool looking Mimi and I love the distressed edges, so perfect! Beautiful card! Hope you had a wonderful birthday! Cute Anya! Belated Happy Birthday, Mimi! Hope you had a wonderful day! Love the texture on your card! So cute!